Some 99,901 migrant families were detained by the U.S. Customs and Border Protection. The arrests of immigrant families on the U.S.-Mexico border increased 290% in the period Oct. 2018-Jan.-2019 with respect to a similar period in the year before, according to the Customs and Border Protection (CBP). "The arrests of family units by Border Patrol agents, so far, [in] the 2019 fiscal year have increased by 290%," a CBP statement said and pointed out that 99,901 migrant families were detained. The apprehensions of minors, who arrived without a companion, grew from 14,390 in the first three months of the 2018 fiscal year to 20,123 in the 2019 fiscal year, which means an increase of 40%. 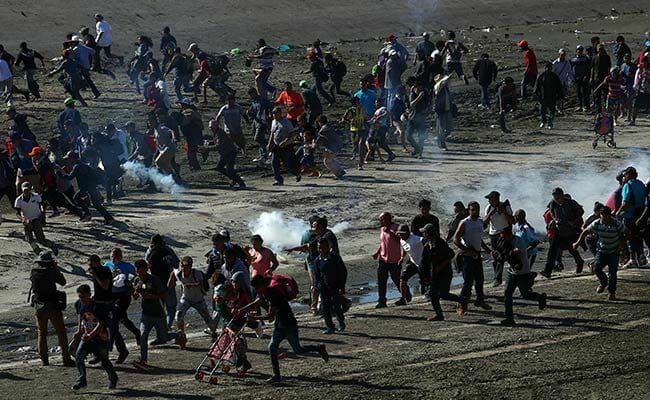 The information details that large groups of 100 or more people, many of which are families from Central America, illegally cross the border through remote areas. So far, this year, Border Patrol agents have captured 58 large immigrant groups compared to the 13 that were apprehended during the same period of the 2018 fiscal year. "Central American families and unaccompanied [by] children are crossing the border illegally in larger numbers and in larger groups than ever," Brian Hastings, Border Patrol Chief of Operations, said. The Border Patrol reported that 325 Central American immigrants were arrested Friday, in Lukeville, Arizona, after they surrendered to the authorities. Among them, 150 were youth, 32 of whom were unaccompanied. These data are disseminated at a time when the U.S. President Donald Trump plans to declare a "national emergency" from Feb. 15, if no agreement is reached to resolve the stalemate on funding for a border wall.